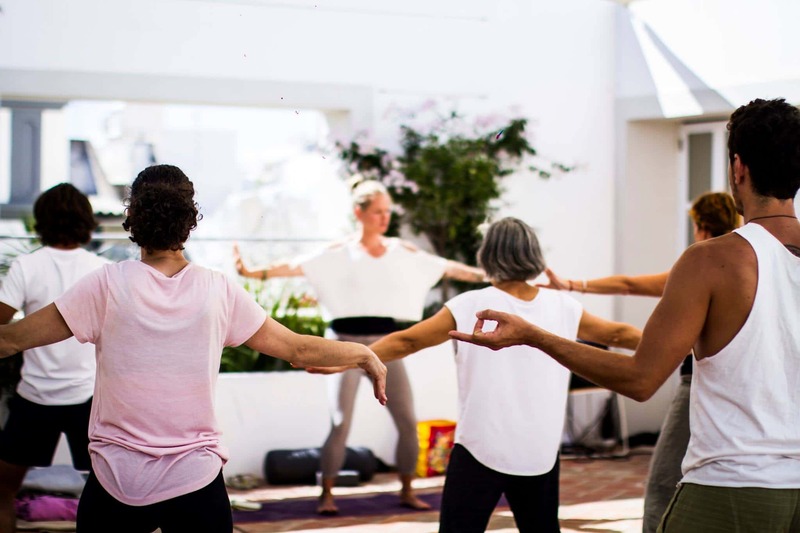 During Yoga & Meditation you will experience aspects of Chakra yoga, Yin yoga, Hatha yoga, Dru yoga, Nidra yoga, Zen and Mindfulness come together. Meditation is also very important. Sometimes (inner) mantras or sounds are present. The strength is to surrender to relaxation. Relaxation creates more room in the physical and subtle body, there where balance and harmony come together. Listen to the nature attentively. The elements, earth, water, fire, air and light are incorporated with the human wellbeing. Also the sun and the moon. Dru yoga, the flowing movements of Dru yoga help you to let go your fatigue. For these exercises you don’t need any experience. You perform gentle stretching movements and become more conscious of your breathing. As a result, your body will soon relax more deeply. Each lesson ends with a deep relaxation. Hatha yoga, movements and postures (asanas) are executed deliberately, with special attention to respiration. This enhances your focus, your muscles become more flexible and stronger, stress complaints decrease, and many body processes become more balanced. You will feel more balanced and self-confident. Yin yoga, is a slow-paced style of yoga with asanas, that are held for longer periods of time. It improves circulation in the joints and flexibility where the tissues are stretched. Yin yoga is a calm and meditative form of yoga and creates awareness of one’s inner silence, feelings, sensations and emotions. Meditation by executing the exercises with full attention (which is actually not yet defined as meditation but more as concentration), you will notice that at some point that all experiences – both within your body, including your mind, and situated outside your body (such as sounds) – are perceived from a much broader perspective than you seem to do normally. A perspective of non-judgmental (therefore loving) attention. Chakra yoga, chakras are energy centers in the body. These are activated by specific exercises. Associated qualities and feelings can therefore become (more) noticeably present, like stability, confidence, playfulness, power, purpose, liberality, space, clarity. 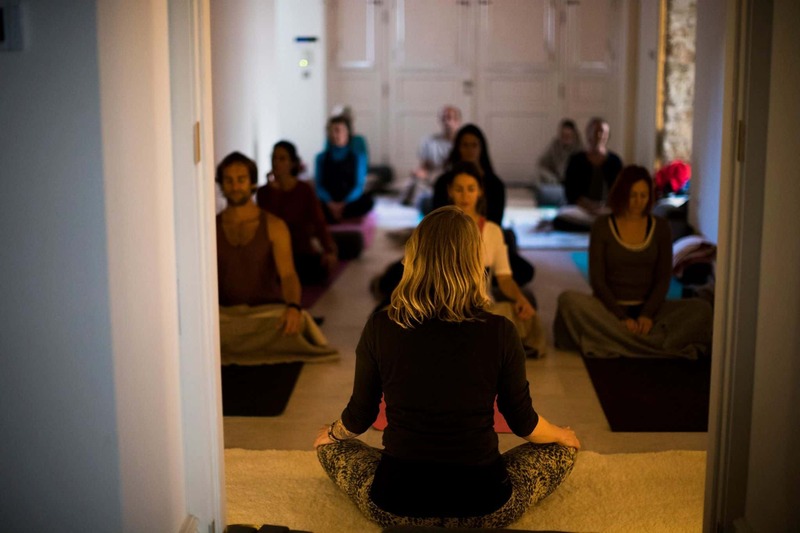 Nidra yoga, translated as yogic sleep, is a five-stage process that incorporates guided meditation on the breath, the balancing of emotional states, visualization, and self-healing. Setting a positive intention is another important step. It is a practice that everyone, from children to seniors, can do. One hour of this ‘yogic sleep’ equals 4 hours of regular sleep. Yoga Nidra can serve as a pathway to freedom without creating bodily stress. During Yoga Nidra, your awareness wanders through the whole body. While doing so, you move through different stages of consciousness just as in sleep: between the waking state, dream state, and finally to deep, dreamless sleep. As you lie down, supported in Savasana (corpse pose), all you have to do is follow the voice that is guiding you. Mantra yoga, mantras are chanted words or texts. Sounds in general, and mantras in particular, have due to their specific (sound) vibrations a stilling and beneficial effect on body and mind. Moreover, the breath becomes more relaxed and more spacious through singing. Zen and Mindfulness, these disciplines have in common with (meditative) yoga, that they concern essentially a non-judgmental, loving attention, wherein everything you do and what happens is effortlessly observed. In that awareness, the ‘I’ can relax. Basically the exercises are suitable for everyone because you can always adjust and do exactly as much as you are able to do. You never have to do anything you do not want. It’s not about performance, but about acceptation. Attention/Intention without judgment. Yoga & Meditation is never the same It’s created on the spot, depending on the people and the situation at that moment. Often the yoga is calm and quiet, sometimes (partly) dynamic and powerful, supported with music (if it’s possible) and we regularly close our eyes.